"Scholarship : Pre matric scholarship for minority students ap | APSMFC Scholarship application form online | scholarship status | minority scholarship | pre matric scholarship scholarship application form | Muslim minority scholarship apply online | apsmfc scholarship 2015-16 | scholarship renewal"
Andhra Pradesh Minorities Students can apply scholarships through online application. 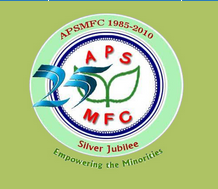 The Andhra Pradesh State Minorities Finance Corporation (APSMFC) Limited has been incorporated under the Companies Act ,1956 in the year 1985. the Main objective is to assist the weaker section of Minorities viz: Muslims,Sikhs,buddhists,Parsis and jains for their socio-economic development in collaboration with Bank and Corporation provides subsidy and interest subsidy.The Source of funding for the Corporate is from Government of Andhra Pradesh and National Minorities Development and Finance corporation, New Delhi. Pre Matric Scholarship will be awarded for students in a Government or Recognized Private Schools from Class I to Class X. 1. The Annual Income of Parents/Guardian of the student from all sources does not exceed Rs.1.00 lakh. 2. The Student should secure not less than 50% marks or equivalent grade in the previous final examination for II yo X Class Students. 3. 30% of Scholarships will be earmarked for Girl students.In Case sufficient number of eligible girl students are not available,then the balance scholarships may be awarded to eligible boy students. 4. the student who are permanent resident of Andhra Pradesh , but studying in other states are also eligible. 5. The Scholarship holder under this scheme will not avail any other Govt. Scholarship or stipend. 1. Distribution of Scholarships will be on the basis of targets communicated by the Govt. of India among notified minorities ( Muslims,Sikhs,Christians Buddhists and Zoroastrians (Psrsis). 2. Students from BPL Families having the lowest income shall be given preference in the ascending order. 3. Scholarships will be awarded for only two members in family. How to Apply Pre-Matric Scholarship in Andhra Pradesh ? 1. The Students must submit their application in Prescribed Application form available in website www.apsmfc.com . And also can obtain Application Form our District Offices. 2. The application form along with required documents shall be submitted to the District minorities Welfare Officer/Executive director Office of the Concerned Districts Through the Head Master of the Concerned School. 3. On Receipt of scholarship forms, EDs/DMWOs will scrutinize all application forms and data will be enter in the Website though online and submit the eligible students list to the selection committee for approval. 4. The Selection Committee consists of joint Collector,Districts Education officer, ED APSMFC/DMWO.The list will be approved bey the Committee duly following the Procedure for section for scholarships . 5. The scholarship amount will be released to the students bank account directly from ED/DMWO office. 1. Income Certificate issued by Tahasildar/Salary Certificate from Employer/ Affidavit on non Judicial Stamp Paper. 3. Photo Copy of Bank Pass book in joint Account of Parent and student. 5. Proof of permanent residence of Parent/Guardian Ration Card/Voter Id/Electricity Bill/Gas Bill or any other document. 7. Minority Community declaration-Affidavit on non Judicial Stamp Paper.